We recently received some packages in the mail and had boxes around the house. Just as I was about to toss them, my girls decided to build forts out of them. Then Elle, my youngest, sat herself in the little box. I couldn’t believe she fit so perfectly in the box. 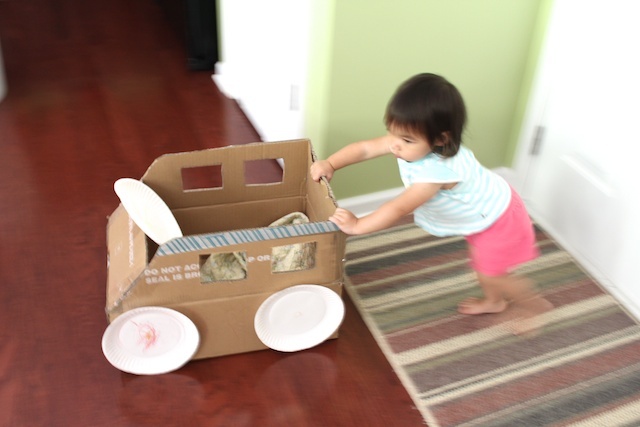 I pushed her around in it and she yelled, “Vroom!” We got a little more creative and made box cars out of them. 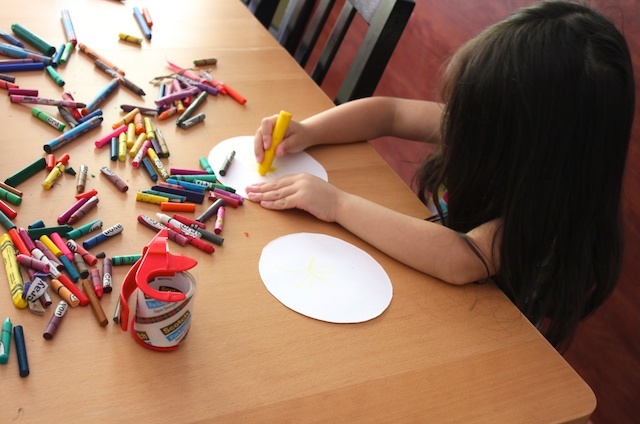 This is a fun activity that the kids can get involved in making. And boys will love this too! See, I don’t only do girl stuff on here. We made this within minutes but it’s something the children can come back to and draw on as they so desire. It didn’t take long because the girls colored while I cut. Remember, if you made something inspired by Simply Modern Mom, please upload pictures of it in our Flickr group to show it off to everyone. You may be featured on Simply Modern Mom. If you are looking for boxes, hang out at Wal-Mart or other grocery stores late at night when they are stocking the shelves. Then ask for the empty boxes. Moving boxes will work too. 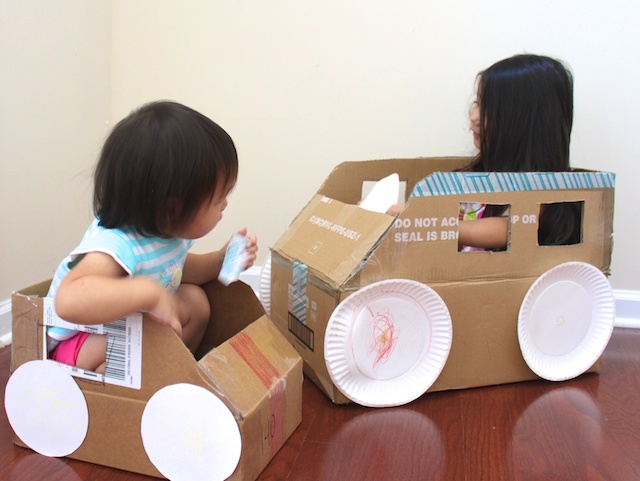 The girls love to drive around in their box cars. That also means I’m the one who is pushing them. Great way to get exercise around the house, no? The boxes glide wonderfully on carpet, tile and hardwood floors. If you push hard enough, it’ll go over rugs too. 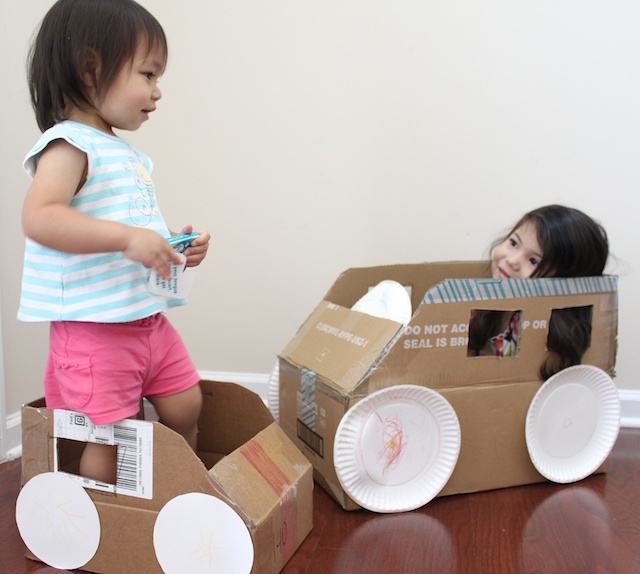 » Tell me… How do you reuse boxes? Storage in the attic? Gifting boxes? Love this!!! 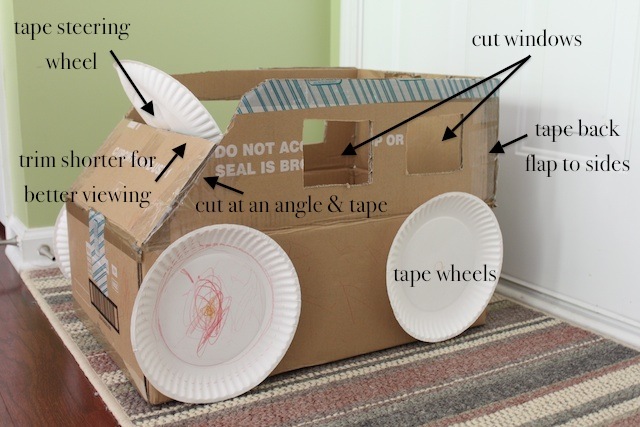 I’ve made one of these for my son — paper plates and all! 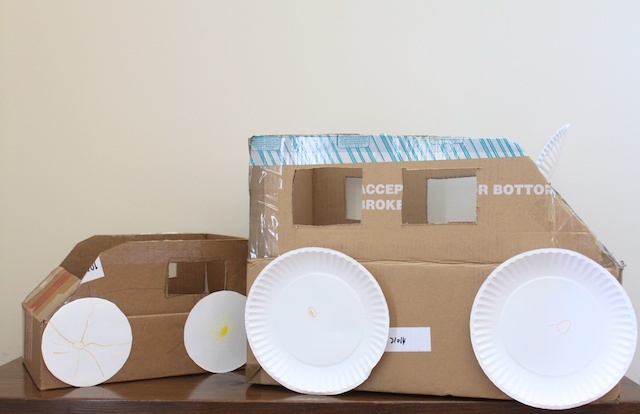 I loved boxes when I did my home preschool years ago—made cars and trains from them. I also got a huge box once and we made it into a house one day, then painted it red and it was our barn and we had farm day, then with it still red we cut a big door our and it was our fire station–we had it outside. they waited in the box, until I rang a bell, then they put on a plastic firehat, rode a little firetruck pedal car out to a “burning” dollhouse which they squirted it with water and rescued dolls from the house and brought them by ambulance to a hospital. the ambulance was a tricycle. They could all be from boxes–like you made, but for outdoors you can cut the bottom out and they can carry it while they run–Flintstone style. After the box was a firehouse, we opened it up flat and had a dance floor. Good times. such a great idea im totally doing this for my son (2yo)! hed love it!! i use boxes i get in the mail, to mail stuff out in! shocker i know 😀 but why go back to the post office to buy a box if you can just cover up the label and reuse it. i usually just compress the boxes and hide them somewhere in the garage so i have them handy when i need to mail something out.